I'm super excited to share this project that I worked on with HomeSense to celebrate Canada's 151st birthday! We're feeling more patriotic than ever these days so what better way to show some homegrown love then to add some Canadiana themed products to your summer decor! I created 5 different watercolor illustrations based on iconic Canadian food (and drink) that were used on melamine plates and tea towel sets. A Montreal smoked meat sandwich is a deli-lovers dream! While the origins of the ketchup chip are uncertain, Canadian's are definitely the biggest consumer of the red chip. An ooey gooey Canadian classic! 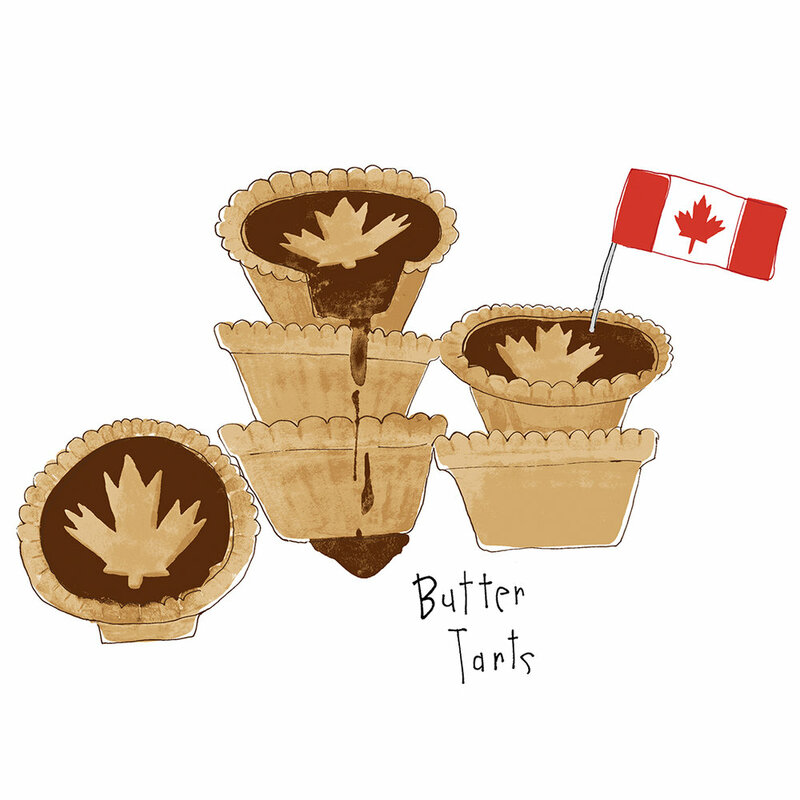 Butter tarts with or without raisins are an old fashioned Canadian treat. Cute melamine plate set available in 2 sizes at HomeSense stores across Canada. 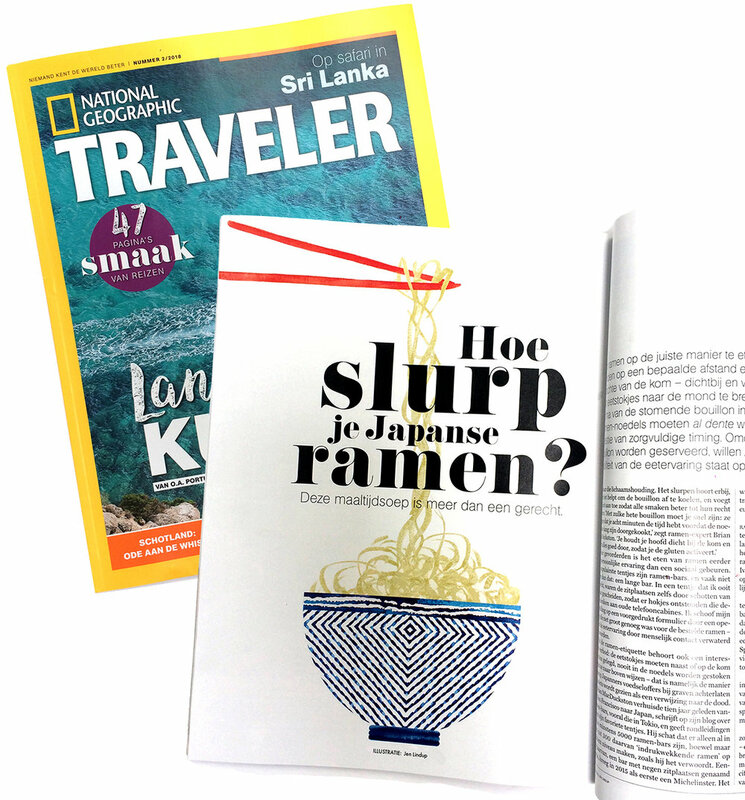 It's so cool to see my Noodle Bowl illustration in the current issue of National Geographic Traveler Netherlands! I wish I was able to read Dutch as this is a tasty article about Ramen culture in Japan. How do you slurp your ramen? It was so lovely to have my work included in the feature "A Love For All Things Paper" over on Keenoby's blog. 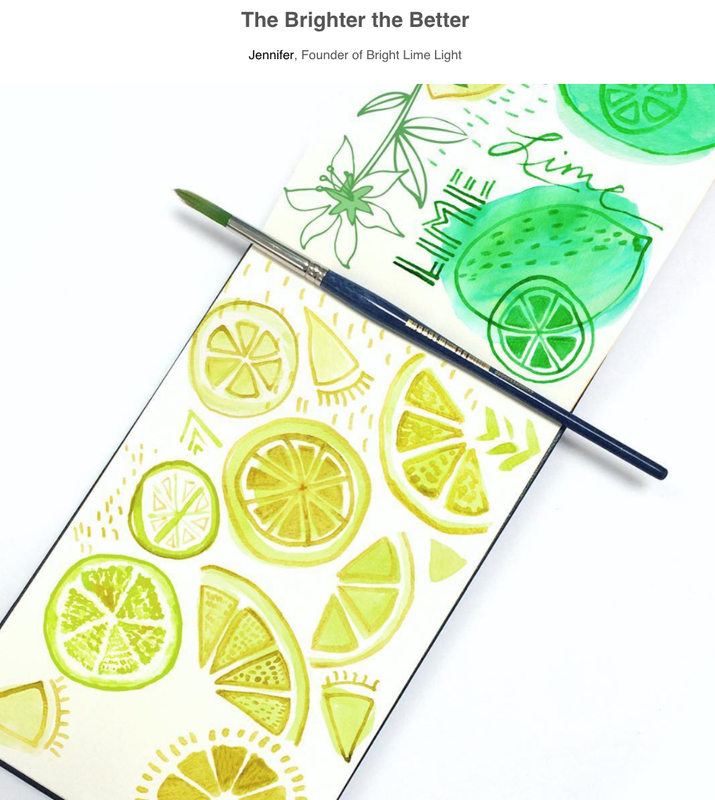 I talk a little bit about my process and my love of bright colour! Keenoby is building a worldwide community of makers, creators and artists from all different disciplines. I would highly recommend joining them and creating your own profile. Check out mine right here!